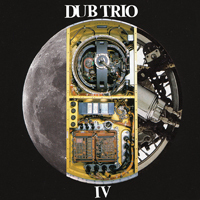 Dub Trio's new album "IV" is now available on CD or LP in all good record stores or via the ROIR website. Dub Trio is back with their fourth and most powerful album to date – IV – an overwhelming blend of sounds, styles and ideas that come out swinging, and hit harder than ever. Can metal coexist with dub’s bass heavy riddims? Dub Trio’s newest album proves that not only can such incongruities coexist, but that in the right hands they flourish! With IV the band succeeds dramatically at emphasizing the theories, emotions, sounds, and concepts of their current musical exploration. IV finds the members playing multiple instruments, tweaking, turning & torturing knobs, cutting and chopping the audio itself, and shaping the compositions to create their own unique interpretation of “dub” as an art form. Regularly seen as Matisyahu's backing band, Dub Trio have just come back from a successful headlining European tour to do a very rare tour of the US & Canada. Nov 10 – Mercury Lounge, New York, NY – RECORD RELEASE PARTY!